Quite awhile ago, I facilitated a day-long workshop for grade 2 teachers. During the morning break, I had the opportunity to chat with one of the participants about the work she was doing with her students. She talked about a routine she was using to open up conversations in her math class. Fast forward about 10 months. While looking through my photos, I came across the set of pictures I had taken with the intention of writing up this post. The following is my version of the really nice task she shared. Step 1: Share this stack of containers. Ask the students what they notice. Record their ideas. Next, ask them to share their wonderings and record their ideas. Step 2: Tell them that the bottom container holds 5 crayons and the top container has 32 crayons. Ask them to think about how many crayons might be in the middle container, and prepare a statement that would convince the group that their idea could be true. Step 3: Have them share their idea with one other person; a test run to practice their statements before sharing with the whole class. Step 5: Ask for some more ideas. Record the quantities the students share. I am taking a teacher time out here. The intent of the teacher time out I inserted here (much, much later, long after the lesson was over) is to consider the idea that I am currently wrestling with: what to pursue. This idea is courtesy of Tracy Zager Johnson’s blog post Which Mistake to Pursue? Looking back on this conversation with the second graders, I want to think about how to pursue the ideas of quantity and magnitude. How formal should this be? Do we have a sequence of teacher moves ready, like those listed below, and see what the kids think and say and do, and trust them to lead the conversation? Have all kids record, on post-it notes, the quantity they each believe might be in the middle container and stick them up on the board. Talk about the estimates. Talk about the number of crayons that couldn’t be in the middle container and why that could be true. 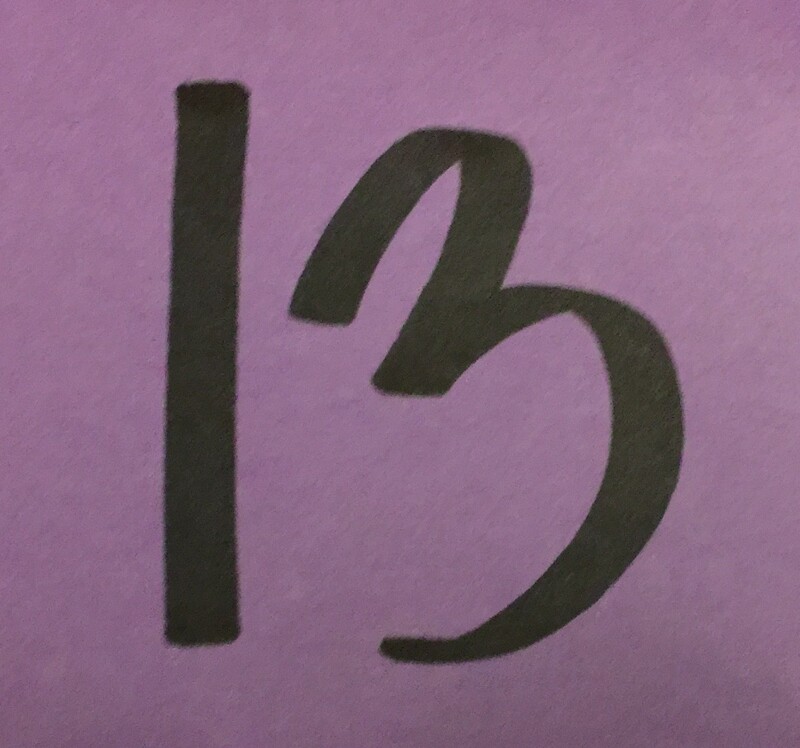 Have a few more students share what his/her partner said, and chat about the possibilities. Have your kiddos do a short writing piece that captures the ideas explored so far: If you had to choose one of the amounts written on the board (and it can’t be yours), which one you would choose? Why do you think that could be the amount in the middle container? 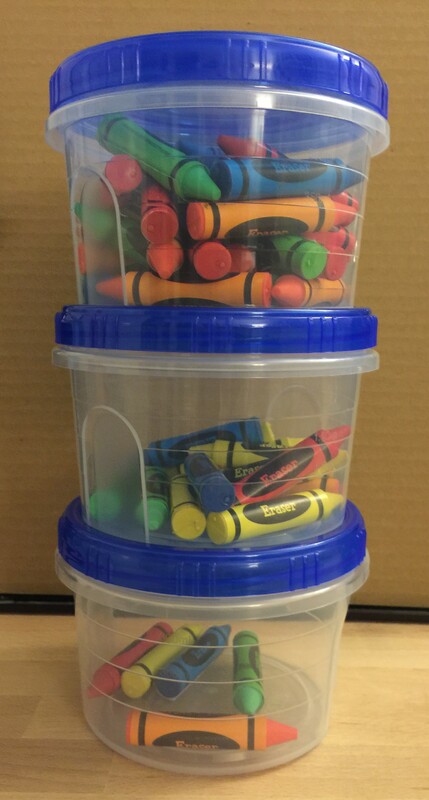 Step 6: What I actually did was collect a few more estimates, open up the middle container, and count the number of crayons. Lots of ohhing! and ahhing! and groaning! and I was so close! A very nice way to move into the next part of the day’s math work. I also am drawn to the question, “Whose partner had something interesting to say?” It continues the learning of social norms, actually listening to one’s peers and making a conscious effort to understand another’s thinking. Trying to think of a way to use the buckets with my third graders, any thoughts? Thinking about how I could turn it into a probability and statistics experience.